March | 2014 | What can you do with anthropology? In 1876, Melville Dewey designed a system to categorize the subjects in his library. Almost 140 years later, the Dewey Decimal System is used around the world to organize library books. As Celia Emmelhainz, a librarian with a Masters degree in Anthropology, notes, the system is now outdated in many ways. Categories exist for since disproven theories, like phrenology, the idea that there is a relationship between a person’s personality and the physical morphology of their skull. Also, the system shows a bias towards Western, Christian cultures. “And libraries around the world still rely on “fixed” versions of Dewey’s classification of knowledge, even though it’s outdated by a hundred years and vast swaths of social change. How we organize knowledge says a lot about what we value in the world, and so it’s important for the world’s languages, religions, and cultures not to just be a footnote in the American system of knowledge” – Celia Emmelhainz. Many librarians agree that an updated system is necessary, but the trouble is finding a universally logical system. What sort of system would be intuitive for every library patron? In any given community, there will be people from all different backgrounds. Just as Dewey’s culture influenced his original system, the cultures we are from likely influence how we think knowledge should be categorized. The problem is complicated, as a new library system would need to be flexible, and accommodating to people from all cultures. Could you ever imagine hearing a color? For some, whose sensory system appears to be configured in a particular manner, this is a quotidian occurrence. Among other individuals, Neil Harbisson was born only being able to see in the colors of black and white, as discussed in Daniel Lende’s ” The Eyeborg: Hearing Colors and Our Cyborg Future“. Daniel Lende, an professor of Anthropology at the University of Southern Florida, has conducted as vast amount of research on both medical and neuroanthropology. Collaborating with inventor Adam Montadon, he recently inserted an “eyeborg” into his skull, which permits Harbisson to hear colors as sound. The Sound of Colors elaborates upon the specific way in which Harbisson is capable of hearing colors. This discombobulating of sensory input is questioned to be the result of human echolocation, or that of a simply unique sensory design. Scientific research upon the matter has increased in quantity over the past few years, attempting to solve the origin of this rare occurrence. Harbisson’s unique sensory configuration has warranted a fair amount of attention in the medical field. Reputable doctors and scientists alike are even attempting to find the problem that is causing Harbisson’s visual differences, and which will, hopefully, allow him to experience color. Before reading this article, I was aware that there are certain individuals whose sensory systems allow for the disarranging of sensory input. However, I had thought that only one sense was affected, not all five senses. Albeit, Harbisson’s unique capacity pertains to the study of anthropology, as it lends itself to the specific manner in which he perceives the world around him. I have always loved novels because they have cheered me up when I am down and entertained me as well. Novelists weave phenomenal stories of adventure, romance, mystery, and more into one whole story. I always feel like I am apart of the story when I am reading because they feel so life like. Reading is my favorite pastime and holding a book in my hand is relaxing as well. Rachel Newcomb wrote an article on savageminds.com called Fiction and Anthropology. She is a “an associate professor of anthropology at Rollins College.” In her blog post, Newcomb writes about the connection between anthropologists and fiction writers. She also has a degree in creative writing. One thing, she writes is “… I have always been interested in the ways that anthropology and literature inform one another. In particular, what can anthropologists learn from fiction?” I think she is right because if you want to create a world and characters, you have to understand how people and culture interact. Even if all writers are not anthropologists, they know how to weave a story about people and how they live in society. I think that writing novels is a great way to understand problems and teach people about the world. Even if novels might not have a basis in theory, they do have a connection with life and the human psych. More novels are written every day and novelists are able to help people have a little more joy in their lives. For years people have been wondering what the very first language was. Professor Andrew George from the School of Oriental and African Studies, in London, who teaches Babylonian, finally released an answer to this question. Unfortunately, due to the fact that all of our data around language can only be traced back to the first signs of writing, there is no way to know what the first language was. Some people believed that Hebrew was the first language, as a result of thinking that God was responsible for the writing of the Bible, however very few still thin this. Archaeologists are currently under the impression that the people accountable for the first writing systems 5,000 years ago, lived where Egypt and Iraq now are. Because of this, it is thought that the oldest writing originated from the languages of Sumerians or ancient Egyptians. It is an extremely intriguing question to which we do not know the answer to, due to the fact that language most likely emerged 100,000 years before humans developed any type of writing. Through archaeology and anthropology, researchers have been trying to use guesswork to come to some type of a conclusion, or by working backwards (from the beginning of cavemen), however we are still searching for the answer. Although we are not able to articulate what the first language actually was, anthropology has given us great insight to the ancient civilizations of the world. It has taught us that the Egyptian and Sumerian cultures were the first to have writing systems, which not only is exceptionally significant general knowledge, but it provides a great depth to the development of them. Evidence regarding the domestication of cats during ancient Egyptian times was originally thought to have been between the years 1600 B.C. and 1800 B.C. However, the skeletons of six cats have been uncovered in a cemetery in Hierakonpolis, the former capital of Upper Egypt, dating back 2,000 years earlier than previously thought. The species, according to bone size, appears to be from the Felis silvestris family, “the species most likely to have been domesticated into today’s modern housecat” (Pappas). 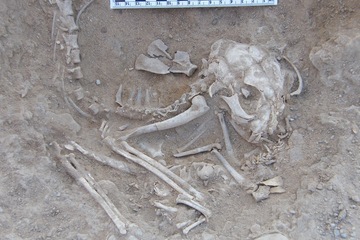 By looking at the cat’s jaw size and shape, and growth plates, scientists were able to decipher that the two adult cats died a little after a year, while the four kittens were 4 to 5 months old, leaving bioarcheologist Van Neer and his peers to believe that the “natural reproductive cycle of the cats was disrupted, perhaps because humans were keeping and feeding the animals year round” (Pappas). This helps prove the domestication of cats back then, due to the fact that wild cats would usually have one litter a year because of dependency on seasonal food accessibility, contrary to the reproduction rate of the six cats. Although researchers do not yet know where the domestication of cats began, the cultural aspect of domesticating animals is interesting. By using anthropology, the significance of animals in different cultures can be understood. This article provided insight on the role domestic cats had in the development of the Egyptian’s culture. Knowing cats were used as sacrifices in religion, and buried with humans, it is evident they played a significant role in ancient Egyptian culture. To get a degree for their well-known and respected profession, Doctors are required to go through many years of higher education. With so many aspects of the field to remember, it is thought that there is very little education focused on teaching the students about handling moral and personal beliefs. Because of this, anthropologist Jonathon Tomlinson reflects in his post on how college and university programs intended for medical students have begun changing in how these students are learning social communication etiquette compared to their past. What used to be dominated by English, upper-class, white males, the medical field has changed drastically over the past half-century with growing interest and easier accessibility to education. Diversity among gender, ethnicities, and social/economic background has become much more apparent. According to Tomlinson, “By 2003 the proportion of female medical students in the UK peaked at 61%”. With these drastic changes in the medical field’s population, students are being forced to come together to work with others who may have different beliefs and values as them. This in itself is a learning experience for the students in how to act in response to those who think differently than them, and also pushes the professors to reflect on their teaching methods to consider how they should handle the course material to incorporate and share the differing views of their students. While there are still few proper courses that focus on teaching medical ethics to medical students, the life lessons many are being taught through daily interactions on their campuses are likely helping with some aspect of understanding and learning outside opinions, but not nearly to the extent to build the relationships needed to further this aspect of medicine. As Arthur Frank, anthropologist and sociologist, writes, “Th[e] structured disruption of continuity of relational care is more than an organisation problem; it is a moral failure of health care, deforming who patients and clinicians can be to and for each other,” (Frank 2004). Anthropologists Scott Ortman at the University of Colorado Boulder and Professor Luis Bettencourt, used mathematical models that show how modern cities grow with increasing populations, showing that modern development patterns are similar to ancient cities. Scott Ortman assistant professor of anthropology at CU-Boulder said in an article for Science Daily of this research, “This awareness helps break down the barriers between the past and present and allows us to view contemporary cities as lying on a continuum of all human settlements in time and place” (Ortman 2014). These models allowed scientists to become aware that as populations increase, and residential areas become more dense, need for money per capita decreases, and economic production per capita increases (Ortman 2014). Ortman found that additional variables such as people moving, size of residential area, population size, and benefits of living, weren’t impacted drastically by modern technology, making them applicable to modern societies and ancient civilizations as well (Ortman 2014). Data was used from the Aztec city of Teotihuacan, in number of homes, density of pottery fragments to find the population numbers of the ancient cities. Data used, was collected in the 1960s from 1,500 settlements in Central Mexico, through 1,150 B.C.E to 500 years ago (Ortman 2014). The models help increase accuracy of population numbers, which populations were assumed to be more constant, the models indicate that population had the tendency to increase in density when total area increases (Ortman 2014). It is presumed that these same models could help more accurately predict length of roads, amount of activities in the cities, and division of labor (Ortman 2014). Scott Ortman said in an article concerning his research with Science Daily, “There should be a relationship between the population of settlements and the productivity of labor,” Ortman said. Ortman continued, “we would expect larger social networks to be able to produce more public monuments per capita than smaller settlements” (Ortman 2014). Analyzing ancient cities which are less complex than modern cities, could help illuminate development patterns of modern cities, providing “simple ‘model systems’” (Ortman 2014). Ortman says, “The archaeological record actually provides surprisingly clear tests of these models, and in some cases it’s actually much harder to collect comparable data from contemporary cities” (Ortman 2014). Ortman, Scott, University of Colorado at Boulder. 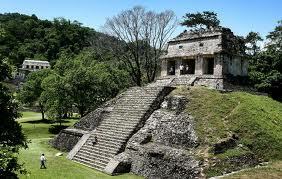 “Ancient settlements and modern cities follow same rules of development.” ScienceDaily. ScienceDaily, 12 February 2014. <www.sciencedaily.com/releases/2014/02/140212183713.htm>. Culture heavily influences what the individual considers to be public space or personal space. Depending on how each person lives his or her everyday life, personal space can range anywhere from 0 to 40cm. In Boston, Massachusetts, it is common courtesy to avoid touching others and avoid interfering with other people’s business, but in Cairo, Egypt, personal space virtually doesn’t exist on the streets according to journalist Leila Fadel. People do what they need to do to get where they need to go, even if that means getting a little close to another person. In the mornings, people press up against one another in order to flash money and get service. Although touching total strangers might seem strange and unsanitary to us, Fadel also notices in her recounting of her visit to Egypt that there were unexpected benefits as well. She feels as though if she were to fall over, or accidently hurt herself in some way, there would immediately be a thousand bodies to help her back up and keep her moving on her way. This strange reduction or removal of personal space seemed to result in the formation of a culture space, where everybody relies on everybody, instead of each body relying on him or her self. I like to assert that formation of cultural quirks and features all originate in environmental necessity. If anything seems out of place or unique in a certain culture, chances are that there is some condition that people needed to adapt to that resulted in the formation of that specific cultural feature. For example, in Cairo the sheer number of people living there combined with the little to no space that the population has to work with results in the reduction of the commonly accepted ‘personal space bubble’, and the acceptance of people touching one another. Auditory nerve damage can occur from any of a significant number of serious diseases, or can simply be passed down from father or mother to son or daughter. Deafness, in any case, results in the formation of a fascinating social anomaly, one in which one person may not even exist on the same level of perception as another person. So the social connections that would be made in a normal fashion are taken off of the table immediately. Other routes must be taken in order to form relationships and communicate. This of course resulted in the formation of sign language, which ended up enabling those that are deaf to form communities and family units. With the formation of these communities and family units comes a culture. 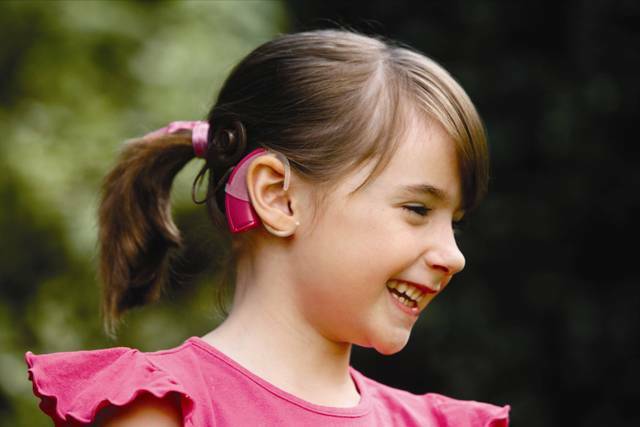 If a baby is born without hearing, a doctor can safely give said baby a cochlear implant as early as fourteen months, which will allow the baby to progress through learning language and social interactions as normally as a baby who was born with hearing. In the article ‘Some Ethical Dimensions of Cochlear Implantation for Deaf Children and Their Familes’, Merv Hyde and Des Power of Griffith University, Hyde and Power Explore the idea that suddenly gifting hearing back into a prelingual child disrupts the formation of that unique familial culture and that deafness is not just seen as a disease, but as a way of life. This dilemma tends to not occur in hearing families that have had a deaf baby, but creates a problem in partially or fully deaf families when the option to have the insertion done presents itself through a doctor or some other medium. The moral dilemma lies in whether denying the baby hearing is objectively wrong, or if denying the baby hearing is simply choosing for the baby to grow into a unique part of human society. Anthropologists Professor Helge Jordheim, Academic Director for the inter-faculty research program KULTRANS and his colleagues at Oslo University show how what was considered civilized western behavior in the 19th and 20th centuries was heavily influenced by interactions with non-western cultures. Western European nations’ interactions with non-western cultures such as in eastern cultures influenced a need to define what it meant for a country and its individuals to be civilized, which would indicate their nations “higher” status on the world (Simmones 2013). Jordheim said, “It is important for all countries to appear civilized. How civilized a country is considered to be determines its position in the ‘global pecking order'” (Simmones 2013). Jordheim in an article covering his research continued, “In Western Europe, the prevailing notion was ‘civilization, that’s us’”(Simmones 2013). Although culture from Western Europe was very influential around the world, the Ottoman Empire, Arabic, and Persian cultures were also looked at for their influence and definition of their cultures when interacting with non-western cultures. Jordheim and his colleagues used books in the 19th and 20th centuries in etiquette, literature in political culture, among many others to study the ideas that strongly influenced how western nations and civilizations believed they should be formed, to project their social place in comparison with other cultures, making a distinction between, civilized, lesser, and un-civilized nations or cultures. For the western nations to consider themselves civilized, each individual would make their behavior conform to ideas of a civilized culture. Jordheim and his colleagues found Scandinavian countries to differ from western civilized notions and desire to be civilized due to the Scandinavian view of nature and man. Notions of civility distance humans from nature. Nature is a strong aspect of Scandinavian culture and is “the ideal” not civilization, making notions of civility conflict with traditional views in the countries (Simmones 2013). Socialization of expression of emotions differ in Scandinavia compared to western European cultures whom attempting to appear civilized prefer restricting the expression of emotions, “In many other countries, the civilizing process entails that emotions must be curbed. This is not necessarily so in Scandinavia. Emotions that are presumed to be natural, such as courage, anger and maternal instincts, are also regarded as desirable,” Jordheim said in an article titled Civilization is defined by ‘the others’ in Science Daily (Simmones 2013).